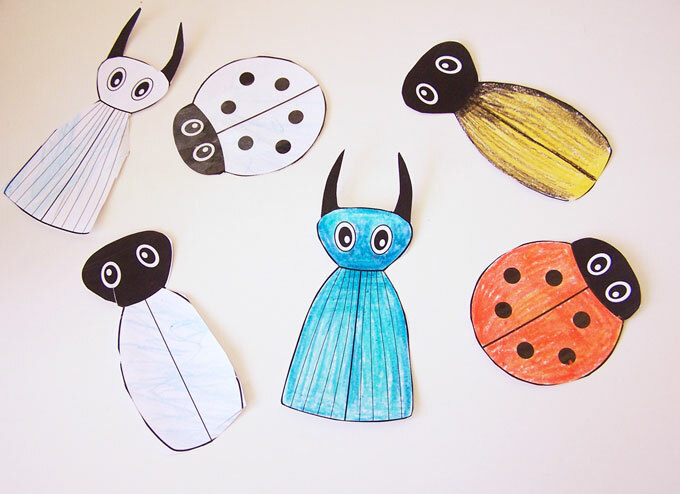 After our bug matching game from last week, we’ve been in bug mode around here. 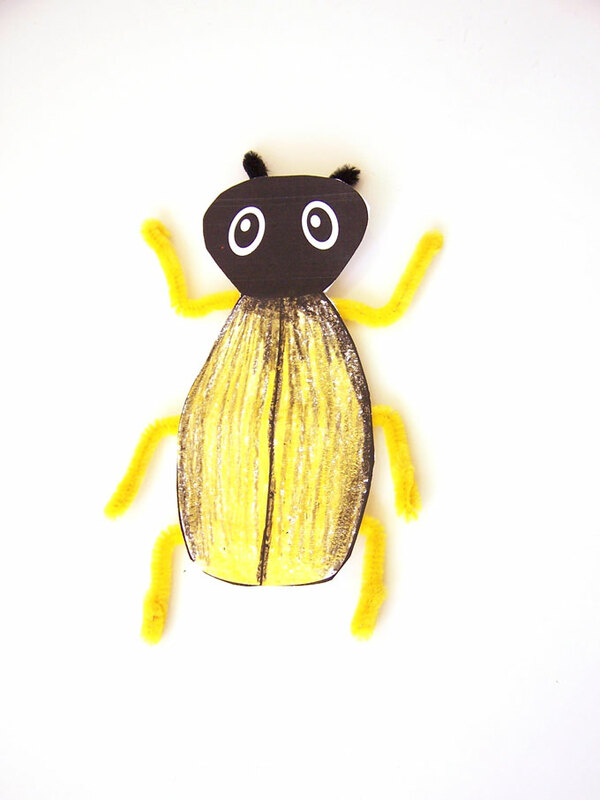 Today I have a simple bug craft to show you, along with a free printable template for the bugs. 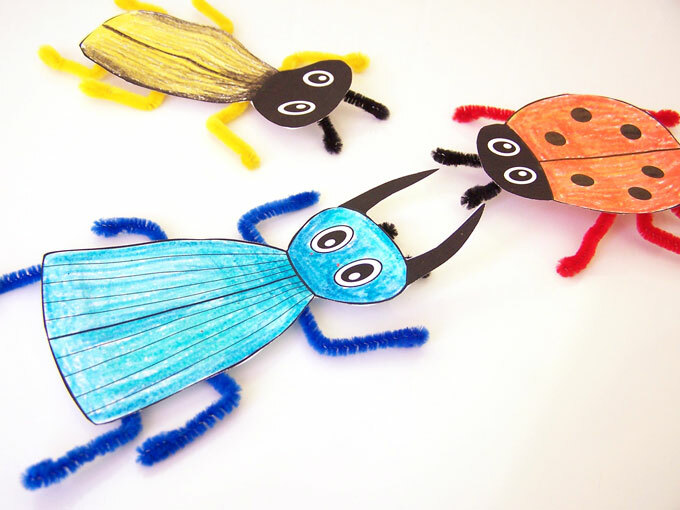 -Paper – We used regular paper, but cardstock would also work great if you want them to hold up better. 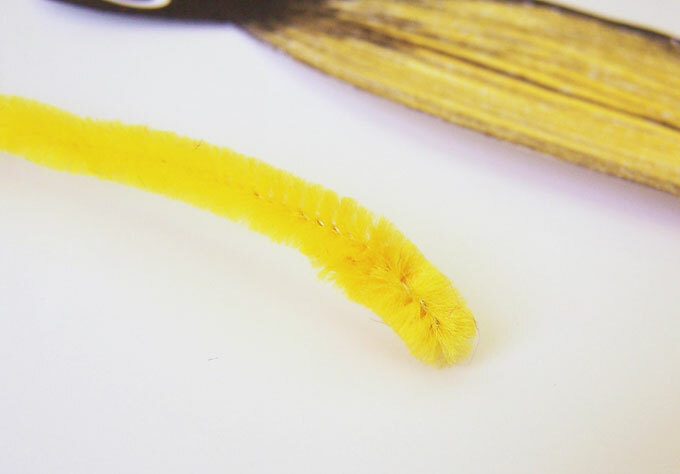 –Pipe cleaners – I usually buy mine from the Dollar Store when I have a chance to take a trip there. 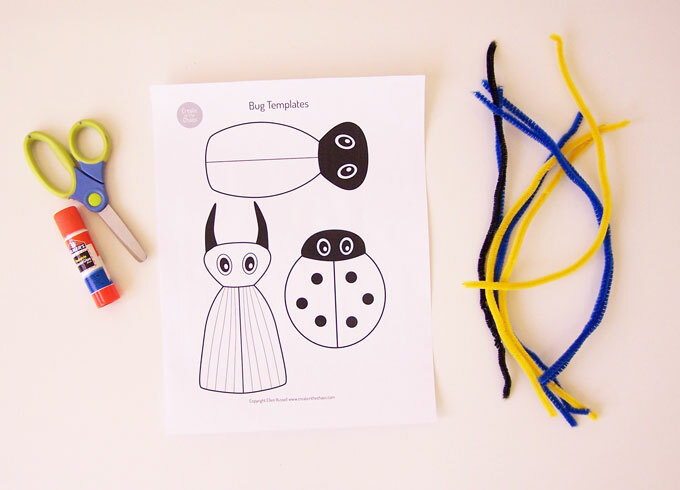 –You can download the printable bug template here when you sign up for my free library of printable crafts. 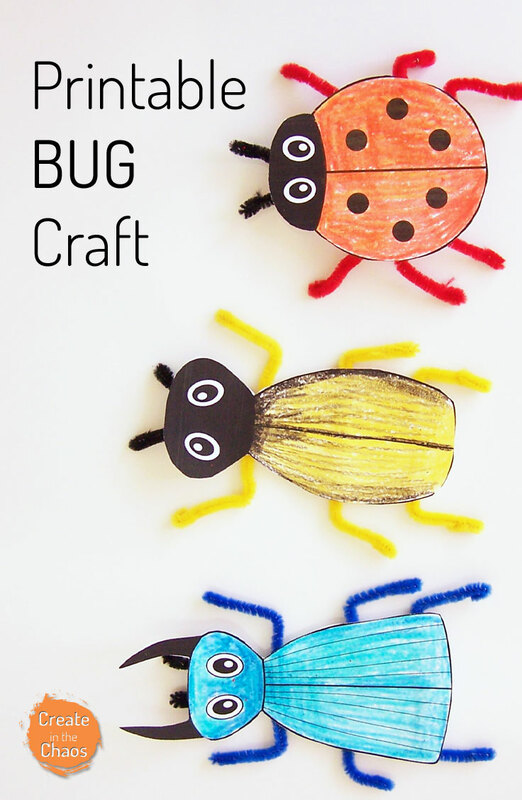 I’ll send you a link to access a secret page with all my fun, free crafts on it! 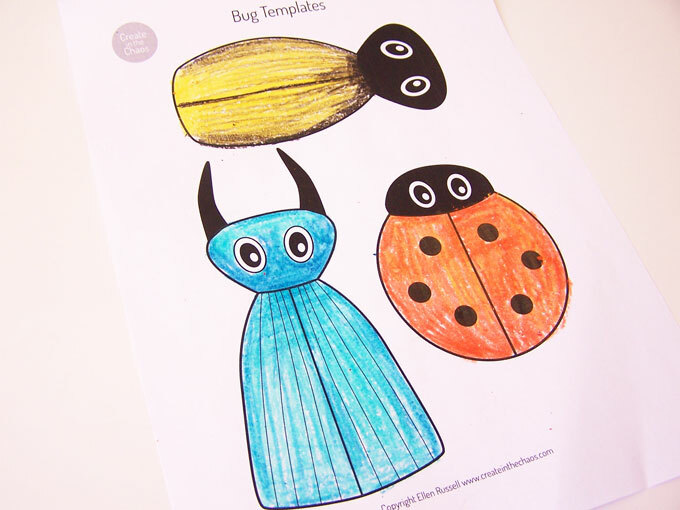 Print off the bug template. 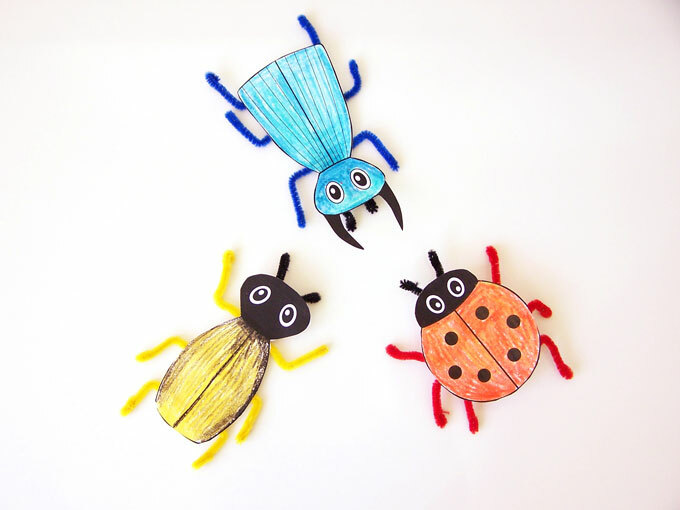 Fun tip: if you want to skip the coloring step or want some quick bug decorations, you can print the template straight onto construction paper or colored cardstock . Then cut them out. My three year old decided to join me on this project. 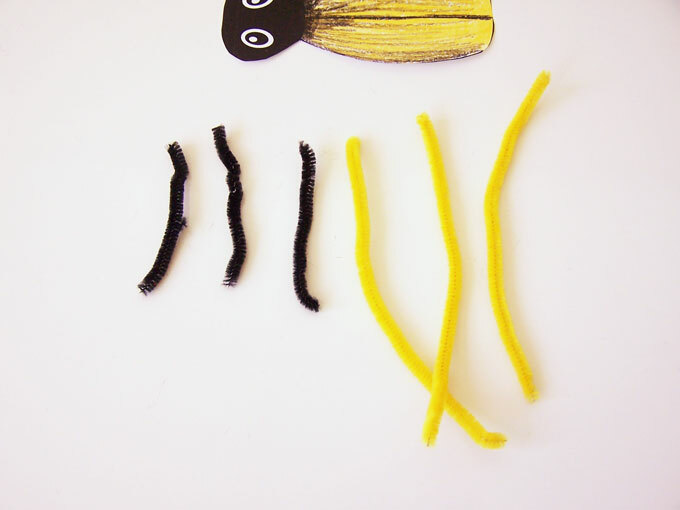 Take some pipe cleaners. You can use all black to make the legs and attenae if you want, but we had some fun with adding color. 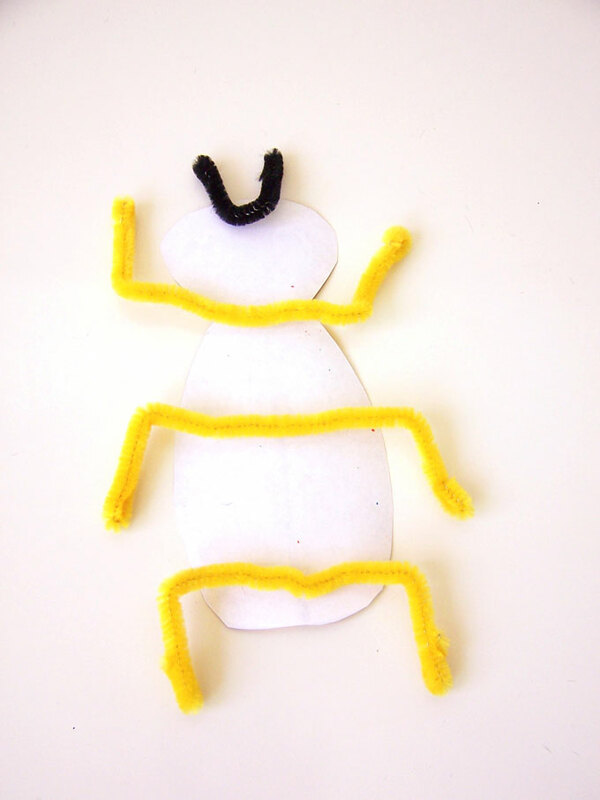 For the legs, I cut the pipe cleaner in half for each set of legs (so three halves total). I cut the pipe cleaner into fourths for the attenae. Bend the end of each pipe cleaner. It makes a nice foot for the legs, and makes the metal end less poky. 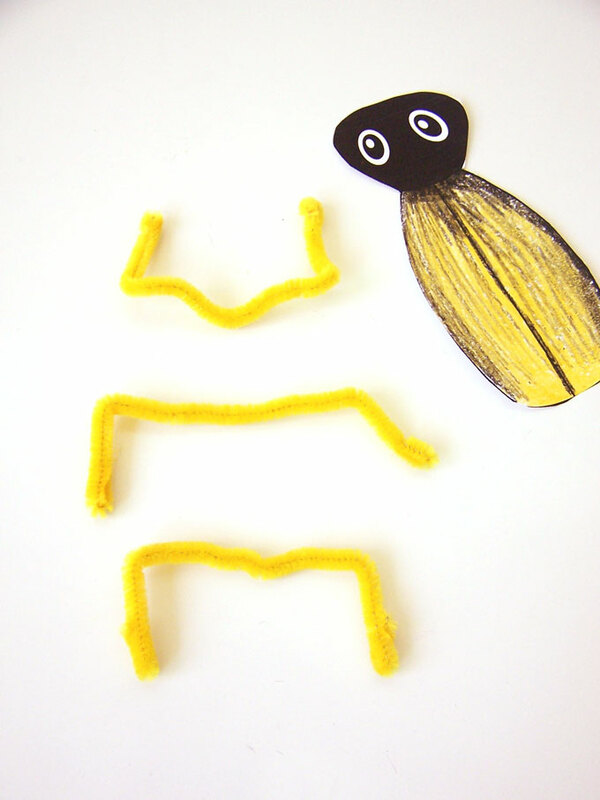 Bend the pipe cleaners into leg shapes. The back two legs face backward, while the front set face forward like a set of arms. Then tape them down. 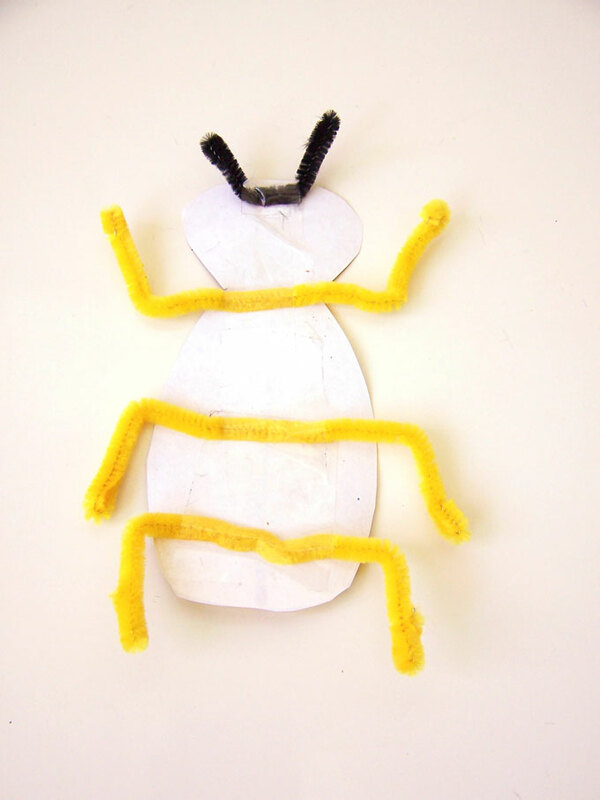 Originally I was going to use glue, but it wasn’t strong enough to hold the pipe cleaners onto the paper, so we went with tape instead. And our little bug is done! 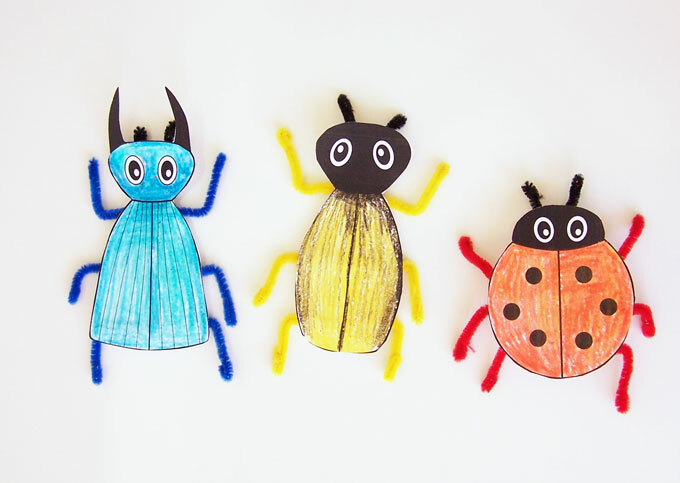 Just follow the same steps for each of the other bugs. The boys had some fun playing with these when they were finished. 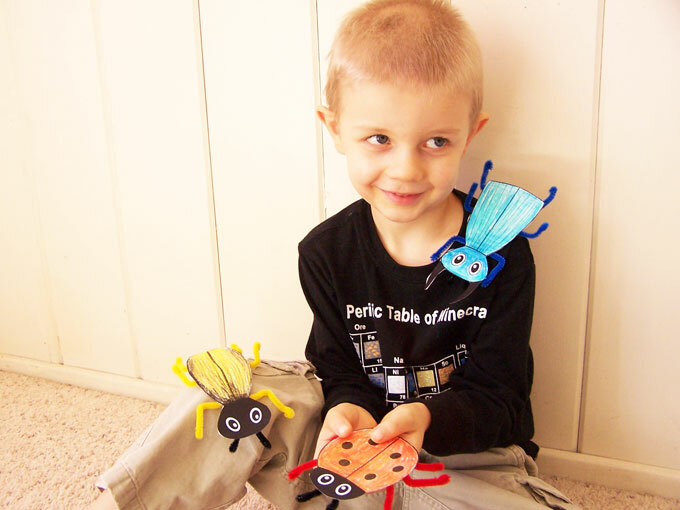 And Sean wanted to show off the bugs he made.